We specialize in outdoor living areas that merge seamlessly with your home design. That means we match the design, stone, wood, and any other finishes to make your patio look like an original part of your home. The best thing about a customized outdoor living room? Everything is done your way. Our most popular requests include outdoor fireplaces to provide light, heat, and an attractive focal point, built-in seating, wiring for a television or a sound system, and room for an outdoor kitchen. We serve the Houston and Dallas – Fort Worth areas. If you have questions about outdoor living rooms, please call (281) 265-1994 in Houston or (972) 915-2727 in Dallas. 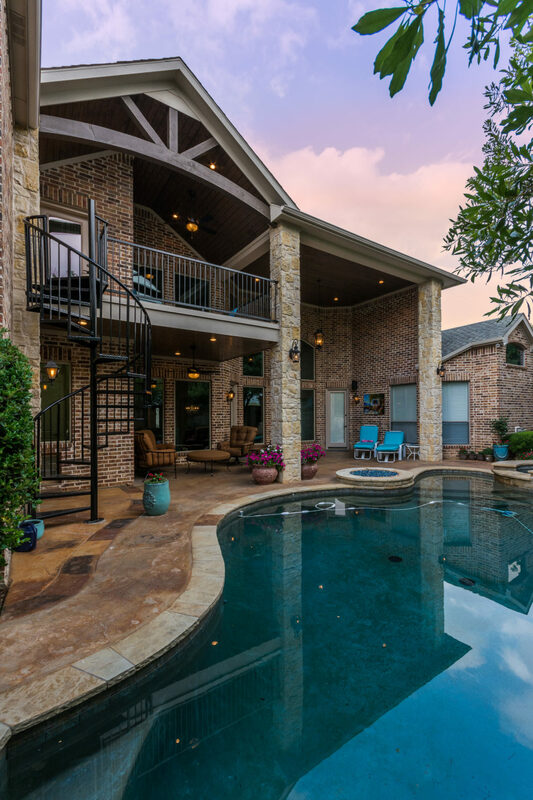 Your personal project developer will help you create an outdoor living room at your Houston or Dallas – Fort Worth home that will seem like an extension of the inside of your home. 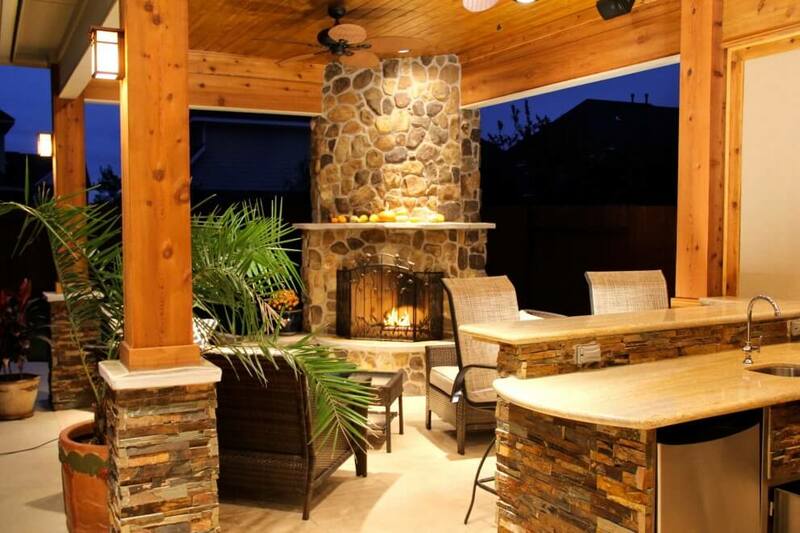 Let us be your custom builder for the outdoor living room you desire – one that is up to your standards and one that will raise your property value and quality of living. A screened porch provides a breezy, bug-free environment to enjoy the outdoors. A small existing balcony did not give our client enough outdoor living space for entertaining and enjoying their golf course views.